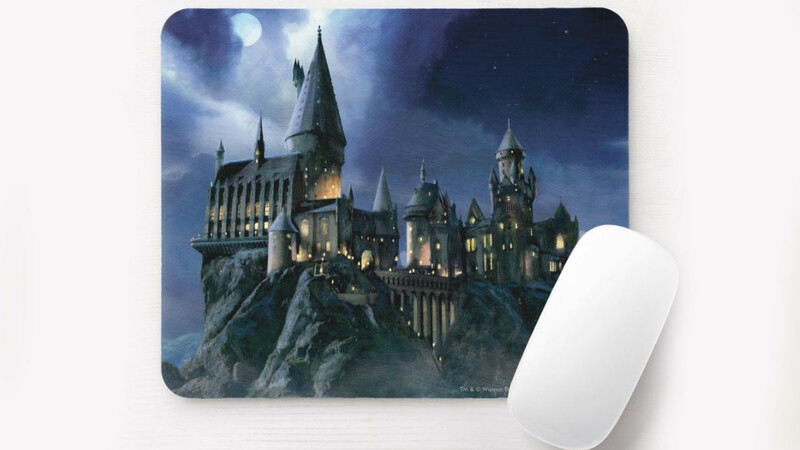 This Harry Potter themed mouse pad features Hogwarts castle in the moonlight. A magical scene that is sure to impress any fan of the Harry Potter franchise. This mouse pad is trademarked official merchandise that is a wonderful collector's item. The design is printed using a high quality, full-color printing process. A great way to add an inspiring and personal touch to any professional or home office. If you like this mouse pad then you may also like to check out the following.